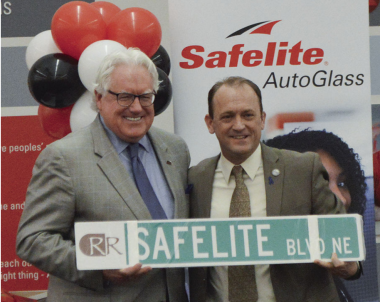 A new street sign and a new hires were celebrated during Safelite AutoGlass’s red ribbon cutting ceremony last week. The event was held Tuesday afternoon at Safelite, where the auto glass repair company’s president and CEO Tom Feeney, Safelite’s vice president of real estate and market development Randy Randolph, Gov. 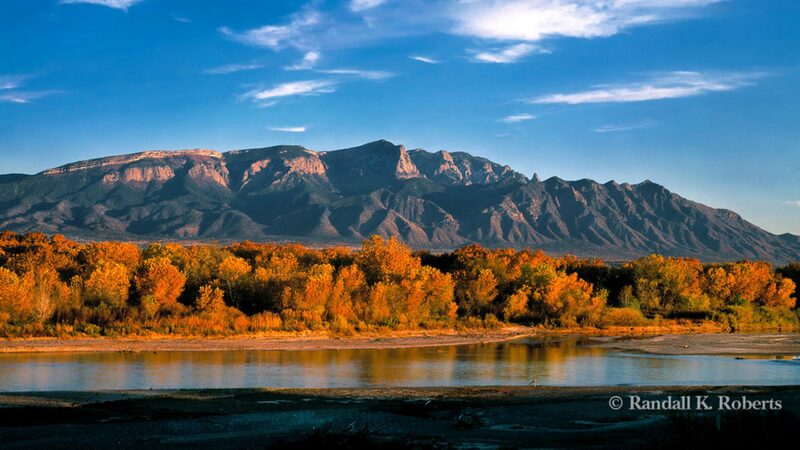 Susana Martinez, Mayor Gregg Hull and New Mexico Economic Development Department Cabinet Secretary Matt Geiesel spoke. Also, Feeney and Randolph presented a $5,000 check from the Safelite AutoGlass Foundation to the Rio Rancho Education Foundation. The Safelite contact center opened their doors in February, following the company’s announcement last summer to expand to the facility on 4300 Sprint Boulevard – a location previously held by Sprint. At their first announcement, Safelite officials said they expected to create 893 by 2019; by the end of the company’s first two months of operation, Feeney said Safelite had hired 800 full- and part-time employees. Of the 800 jobs, more than 500 employees have full-time positions. “We have already hired 800 people, payroll in excess of $20 million, have spent over $10 million on infrastructure investment so, not a bad first start, huh?” he said. Hull presented Feeney a Safelite Boulevard street sign near the end of the ceremony, following the governing body’s decision last month to change Sprint Boulevard’s name to Safelite Boulevard.